The old Villa Capri restaurant, located in Kansas City’s Historic Northeast neighborhood, was a mob haunt. The photo above comes from a video about Kansas City’s organized crime history by attorney and former police detective Gary Jenkins. Update: After this story was published on Jan. 16, Kansas Citians wrote to us asking if the restaurant on Independence Avenue was somehow connected to the one they knew on Metcalf Avenue in Overland Park, Kansas. The answer is yes, the two were linked, according to longtime Pitch writer Charles Ferruzza. 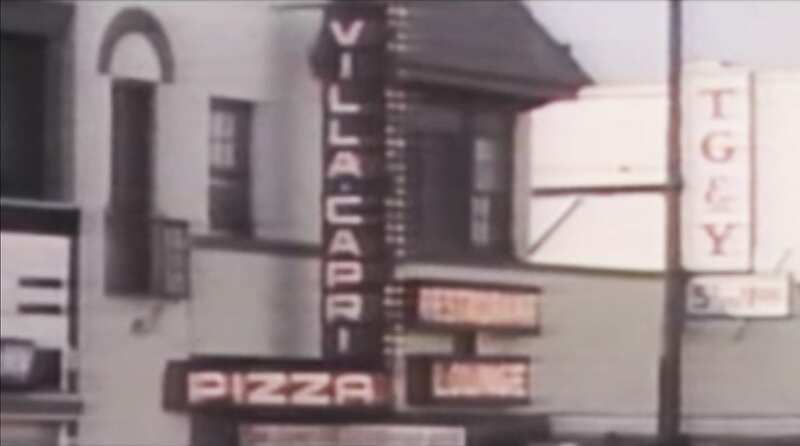 Members of the Kansas City Scudiero family have owned one version or another of the similarly-named Villa Capri for decades. Let’s dig in. The Villa Capri on Independence Avenue mentioned in our story below was owned by Vince Scudiero. This was the location that was bugged and became known for the FBI bust in the late ‘70s. Vince’s nephew, Tony Scudiero, owned Overland Park’s Villa Capri on Metcalf Avenue until 2014. In 2014, Tony handed the reins to his son, Steve, who owns the now-named Steve’s Villa Capri on Mastin Street in Overland Park. Kansas City history is shot through with mob ties. Sykes is no disinterested bystander; he was a busboy at the Villa Capri, a popular pizza spot that was once on Independence and Prospect avenues. In an email to Flatland, he said a group of men sat at the same table every day. Everything seemed to piece together, he said, while he was serving in the U.S. Army in Tacoma, Washington. “I heard on the news about busting some mafia guys who were caught on tape from the Villa Capri,” he wrote in the email. Gangland Wire, a documentary-film blog and podcast produced by attorney Gary Jenkins, a former Kansas City police detective, recounts how federal and local officials snuck into and bugged the restaurant in 1975. Jenkins was part of the team that helped stake out and wiretap the restaurant. “The pivotal event was the bug in the Villa Capri,” Jenkins said. The Villa Capri wiretap was meant to capture evidence of murder, said retired FBI agent Bill Ouseley, who was part of that investigation. Kansas City mob families had peacefully coexisted for decades after their formation in the 1920s, he said. Friction in the families led to deadly violence in the 1970s and 1980s. The recordings caught discussions between notorious KC crime bosses, Carl “Cork” Civella, Carl “Tuffy” DeLuna and their crew, linking them to skimming fraud and Las Vegas casinos. This intel later led to a federal investigation and conviction of several mobsters. So the answer to the question is: Yes, the FBI did bug Villa Capri. And several mobsters were either sent to prison or placed in witness protection. Meanwhile, A Flatland investigation led by the late, award-winning reporter Mike McGraw mined a treasure trove of old files that included mugshots of some of the metro’s mob leaders. Read the story here. Ouseley said the widely publicized prosecutions pretty much wiped out the Kansas City mob scene. It’s pretty hard to wield power and influence from prison. “They lost control of gambling, of the labor rackets … and their political clout,” Ouseley said. Jenkins’ sources tell him there is still a small, sophisticated mob presence in the city, but you just don’t hear that much about organized crime anymore. Perhaps the city just lost its appetite for such shenanigans.